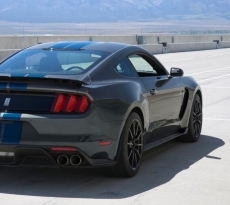 MotorTrend’s latest Head 2 Head episode pitted the 2017 Shelby GT350R Mustang against the 2017 Chevrolet Camaro ZL1, both of which sit atop the heap of their respective pony car worlds right now. It’s far from an apples-to-apples comparison but nevertheless is a cage fight that many an enthusiast would love to have a ringside seat to see who comes out on top. 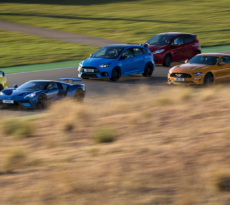 As MotorTrend notes, the supercharged 650HP (650 lb-ft torque) Camaro ZL1 is by far the more powerful of the two, and while the GT350R may look like the big underdog on paper, it is “up on magic” as the MT writers put it, and the results may surprise some people. 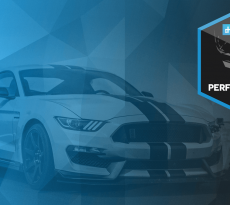 The Head 2 Head video is well worth the price of admission or if you’d just like to commiserate over the results (spoiler alert ahead), you can join the 2017 Shelby GT350R vs. 2017 Chevrolet Camaro ZL1 discussion in our forums.